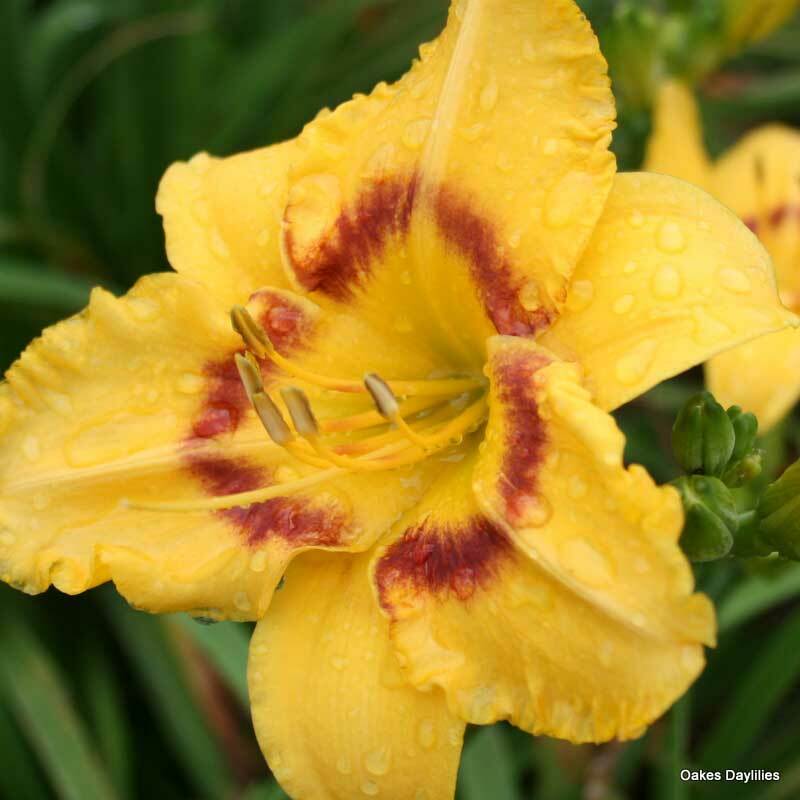 Vibrant deep yellow blooms set off by a contrasting maroon eyezone. 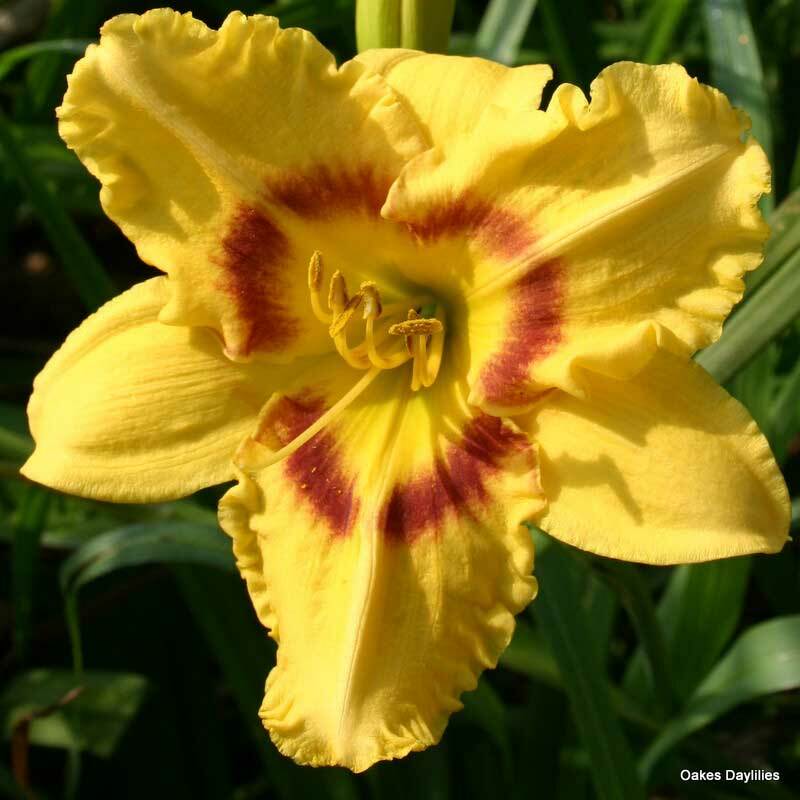 Registered as a mid season bloomer but often one of our latest to bloom. First full growing season after being planted last spring, and it’s just now on it’s last few blooms. It’ll be done by the end of next week (I type this on a Friday evening in mid-August). It’s in a mostly shaded area and it’s been in bloom for one full month!! I live a little north of Boston, MA. A few weeks after it began blooming it put up two more flower stalks, extending the season WAY beyond the first wave of flowers. A real beauty ! 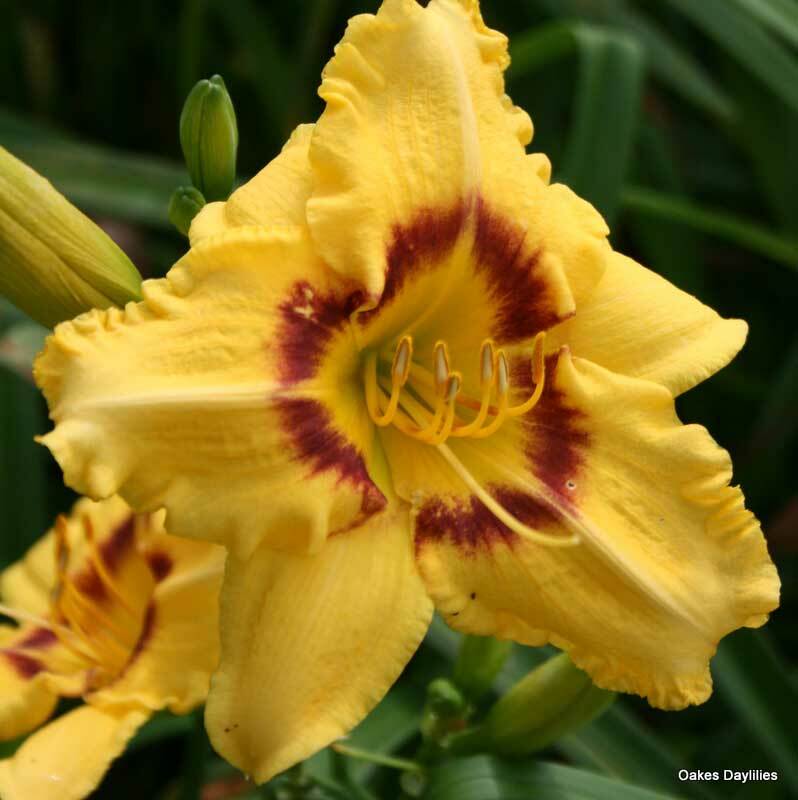 So big and bright yellow and carried well above its foliage; it reminds me of daffodils. 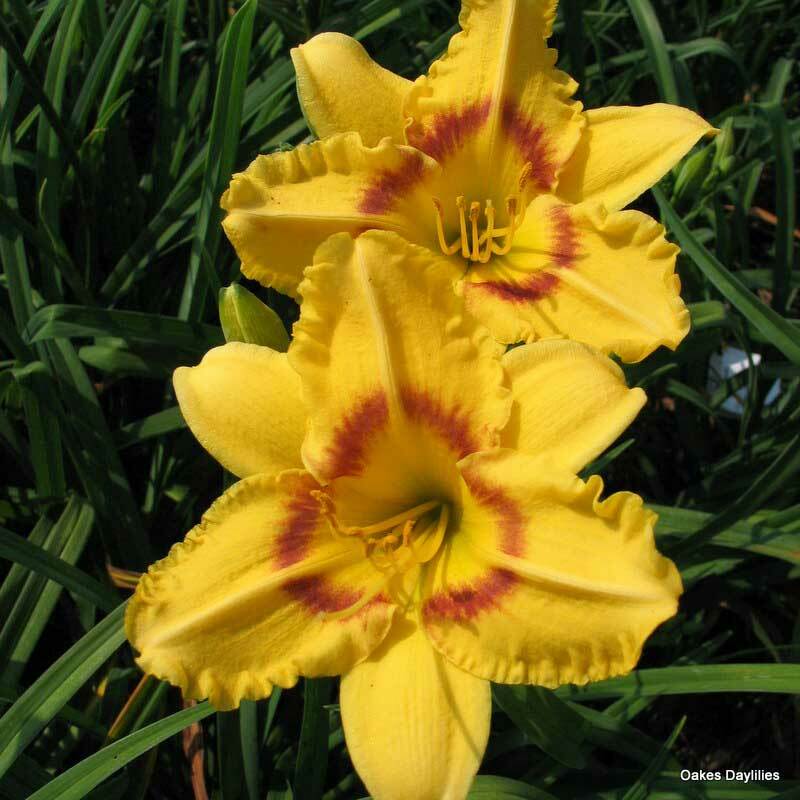 It’s still blooming right now – for 3 weeks straight, non-stop. 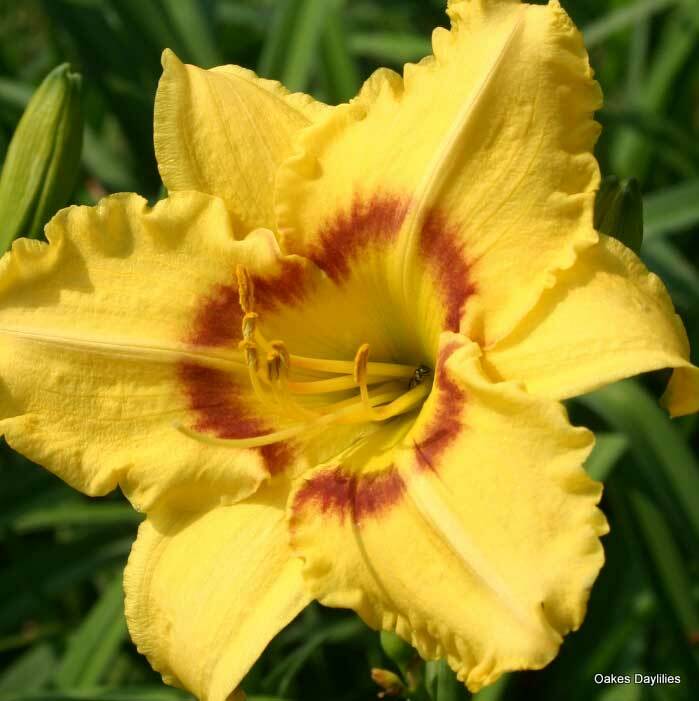 This daylily commands attention! 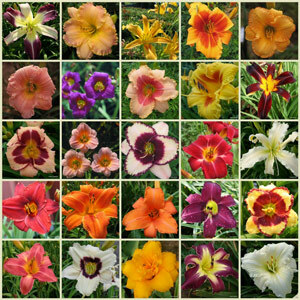 Had so many blooms and the color combinations is truly striking. We had five blooms one day that I took a dozen pictures of. Outstanding! Beautifully colored, first year bloom;an outstanding combination(was a bonus plant) with Siloam Space Age.Some fragrance. I received this dayliliy as a bonus to an order placed last year and I am so glad that I did!! It is the best performer in my garden. I have a total of three plants and 32 blooms today! They are just beautiful a real showstopper in the garden.